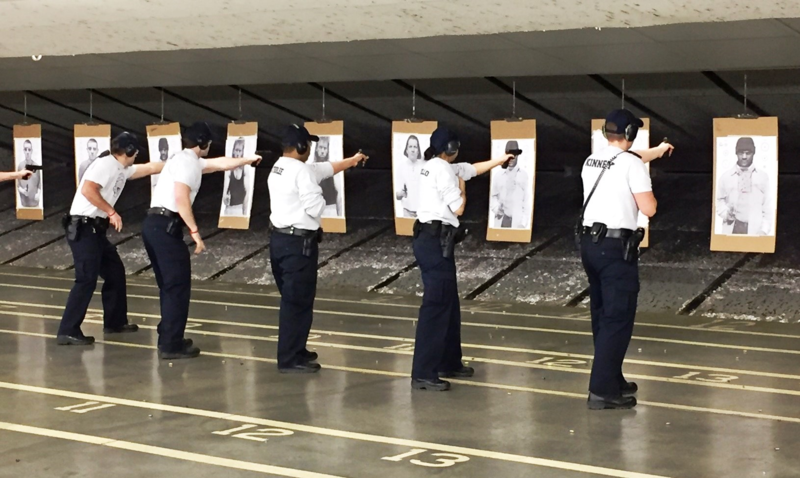 Class 162 at the Kansas City Police Department Academy recently took a state mandated firearms test. The department is struggling to recruit, especially women and minorities. 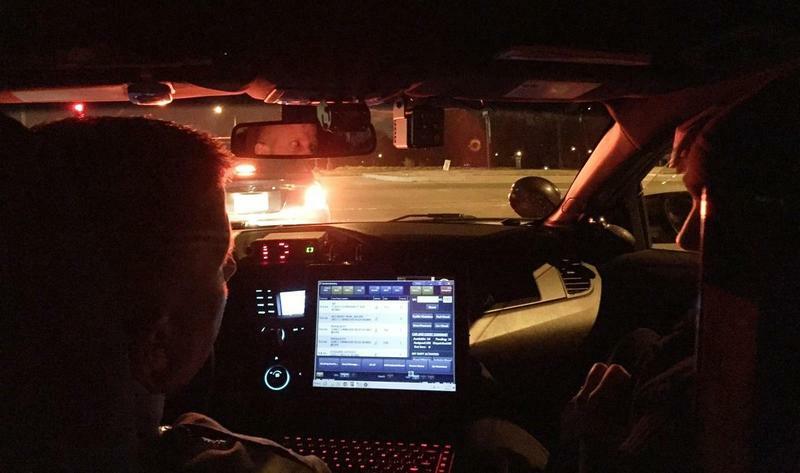 The Kansas City Police Department faces two big problems, violent crime and putting enough officers on the street to fight it. But the department is coming up with new ways to recruit and is trying to find new paths to recruit minorities and women. Last year there were 150 homicides in Kansas City. So far in 2018 the pace of killings is about the same; 16 homicides so far this year compared to 20 at this time last year. At one point last year the department was down about 200 police officers. It was also short of dispatchers and other civilian workers. KCPD is now down 35 sworn officers, according to Deputy Chief Karl Oakman who is in charge of the department's Administration Bureau. "Law enforcement has always been a tough job to sell. You're asking people to come in and put their lives on the line to protect their community," Oakman says. "We're experiencing the same difficulties that every other large police department is experiencing around the country." 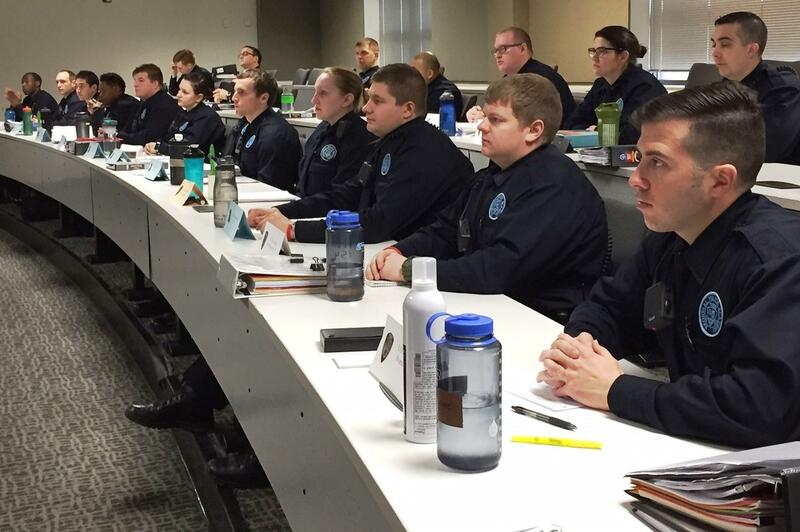 KCPD Class 162 will be graduating soon and recently took a state mandated firearms test. “They’ll be required to pass either this one or a remedial test in case anybody needs it but everybody’s shooting pretty good so far," says Sgt. Wade Smith the department's top firearms instructor. In addition these recruits will also have to pass a KCPD firearms test which is a little more real world, says Smith. The recruits spend almost six months at the academy studying everything from how to search a building to the Fourth Amendment. They then spend ten weeks on the street partnered with a field training officer. But it’s not just about graduating more officers. The department must find ways to recruit more minorities and women. 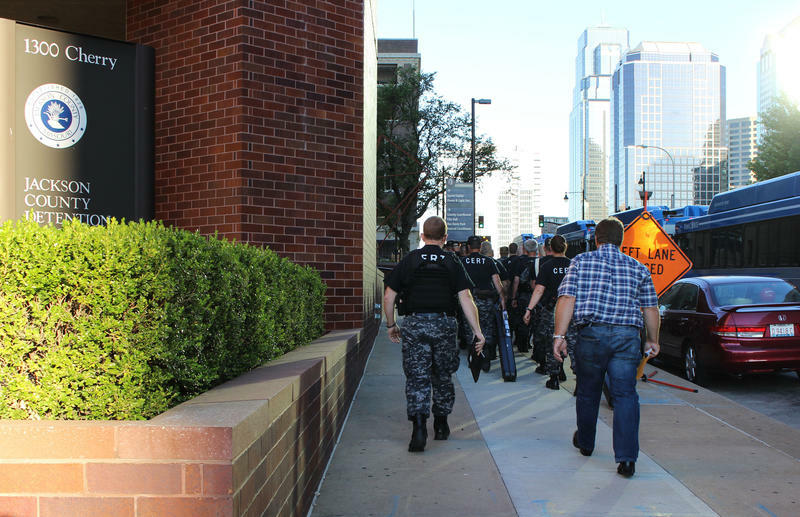 KCPD recruits spend six months at the academy learning everything from how to clear a building to the Fourth Amendment. Of the 53 Kansas City recruits in classes 162 and 163 now in the Northland academy, 13 percent are black, four percent Hispanic, 17 percent are women. That’s just slightly better than what KCPD has on the street right now. The department is 12 percent black, five percent Hispanic and 15 percent female. "You always want your police department to reflect the community. You want to get the best qualified applicants that reflect your community," Oakman says. Oakman has the age old dilemma facing urban police departments; finding recruits who are qualified and look like the community. It's taken some innovative steps. The department has made a deal with Manual Career & Technical Center in Kansas City to put soon recruiters the school. They can recruit early for both police officers and civilian jobs, like mechanics. KCPD is holding job fairs, especially in the urban core. And it will soon start recruiting college athletes, an untapped source until now for Kansas City. "They're in physical shape, a good physical shape, and graduated college so they can handle the academics of the academy,” Oakman says. But the department is battling the historic mistrust between police and people of color. "You have to deal with those issues before you can get into the benefits and how they would be an asset to the police department," he says. Getting past those issues is a very difficult. “Even when the law enforcement officer who does show up, who may look like them, in some ways they can be viewed as an Uncle Tom," says Damon Daniel, head of the AdHoc Group Against Crime who works with both cops and victims. He says there are a mountain of obstacles to overcome before recruiting in the black community gets better. 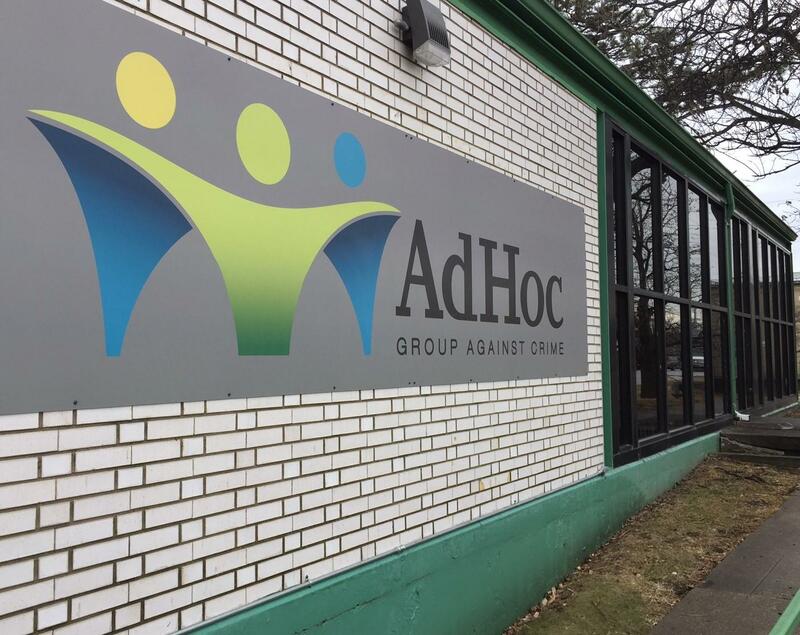 The AdHoc Group Against Crime works with both victims and police to curb violent crime. Racial bias, disrespect, even the recent increase in immigration enforcement. “When someone shows up in that uniform, it’s triggering all of that for people of color," Daniel says. So what practically does it mean for a police department to reflect its community? Police and prosecutors complain that it’s hard to solve crimes when people refuse to provide information. Would more officers of color help? Daniel says it certainly wouldn’t hurt. But he’s more concerned about protecting people who do talk to cops. Certainly having more cops on the street could help, no matter whether they’re white, female or minority. Deputy Chief Oakman emphasizes that character is more important than color. "Just because you're not a minority doesn't mean you can't relate to a minority community," he says. We’ve heard a lot about the soaring number of murders in Kansas City, a big problem to be sure. But police are also dealing with a huge spike in traffic fatalities. And as the year comes to an end, police aren’t really sure why there have been so many. A guard at the Jackson County jail is in critical condition after he was allegedly attacked while on duty, according to court documents. The unidentified guard was allegedly attacked by 20-year-old Johnny R. Dunlap. Dunlap was charged with first degree assault and armed criminal action and faces up to life in prison if convicted, according to Jackson County Prosecutor Jean Peters Baker. Why Did Female Homicides Spike In 2017 In Kansas City? Almost lost in the discussion about the 150 homicides in Kansas City last year is this: Why did the number of women murdered jump 52 percent between 2016 and 2017? In 2016, 21 women were murdered in Kansas City. Last year the number was 32. The Neighborhoods and Public Safety Committee tackled that issue on Wednesday. You might think that most women died from domestic violence or during arguments (as KCUR documented in the series The Argument), but the motive for most of the murders is listed as "unknown."